Soprema Inc. launches a new collection of silicone and acrylic products under the brand name of ALSAN Coatings. ALSAN Coatings are ideal for maintaining and extending the life of existing roofs by protecting them from natural weathering. ALSAN Coating SIL 402, a low-VOC, high-solids, single-component silicone roof coating that forms a durable weatherproof coating for exceptional UV protection and resistance to standing water. This maintenance coating is intended for application over existing single-ply (TPO, PVC, EPDM and CSPE), modified bitumen, BUR, and metal roofing systems and/or approved existing coatings. 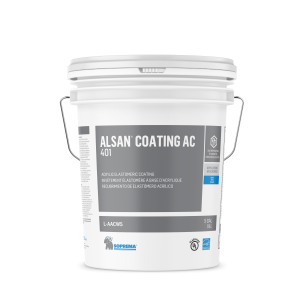 ALSAN Coating AC 401, a high-quality, plasticizer-free, water-based, acrylic elastomeric roof coating that is tested in accordance to ASTM D-6083. ALSAN Coating AC 401 is highly reflective and offers outstanding flexibility and resistant natural weathering. This reflective coating is intended to be applied over existing single-ply (TPO, PVC, EPDM and CSPE), modified bitumen, BUR, and metal roofing systems and/or approved existing coatings. 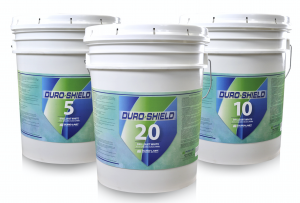 These products are supported by several primer options that allow the coatings’ use across a range of roofing materials and help prevent asphalt bleed-through, inhibit rust and promote adhesion. Additional accessories include an all-purpose cleaner, Polyfleece polyester fabric for reinforcing seams and flashing, walkway coatings/granules, silicone caulk and butyl fleece tape. 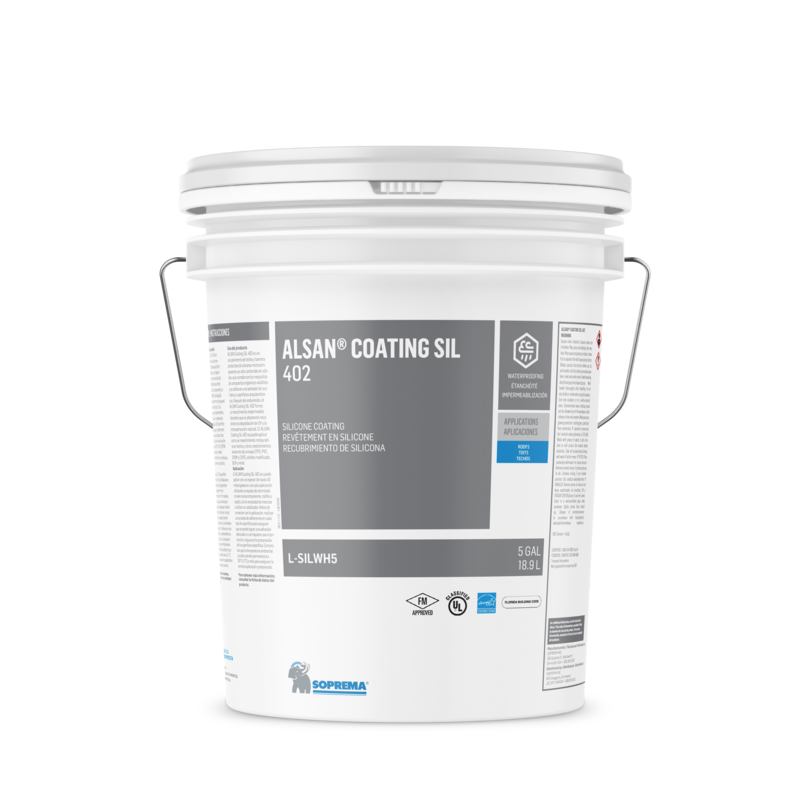 Both ALSAN Coating SIL 402 and ALSAN Coating AC 401 are available in white and custom colors. 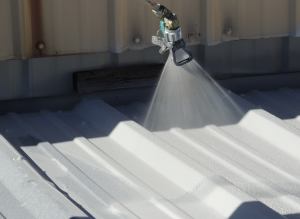 Firestone Building Products offers Industrial Elastomeric Roof Coatings for metal roofs. The coatings are formulated with 100 percent acrylic polymer and are designed to offer superior adhesion, water protection and durability. The ENERGY STAR-approved coatings may help significantly reduce a roof’s surface temperature by up to 100 degrees Fahrenheit, thus reducing peak cooling demands. According to the manufacturer, the white coating ensures a high level of reflective properties that keeps the roof near ambient air temperature, while minimizing stress to fasteners and seams. Firestone’s Industrial Elastomeric Roof Coatings are backed by a 10-year warranty and are available in colors including gray, tan and black.